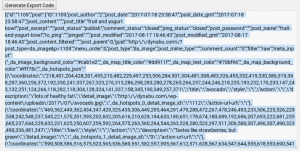 Once you’ve added an image and defined your colors, highlight styles, and drawn your coordinates, you can then export the code to move your image to another website or WordPress installation. 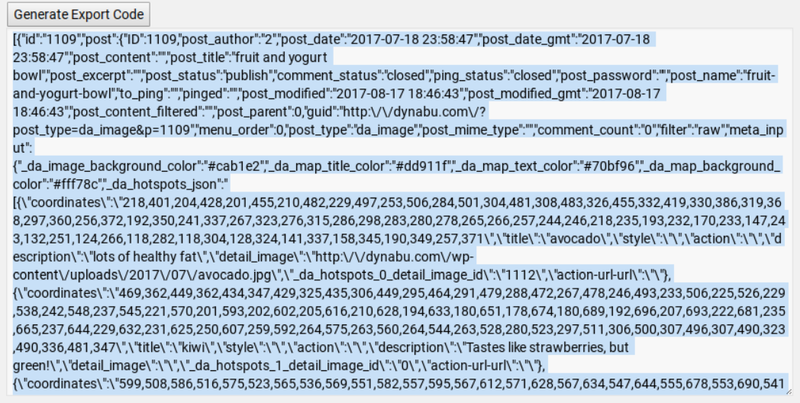 NOTE: After exporting your code, you’ll need to manually upload your image. 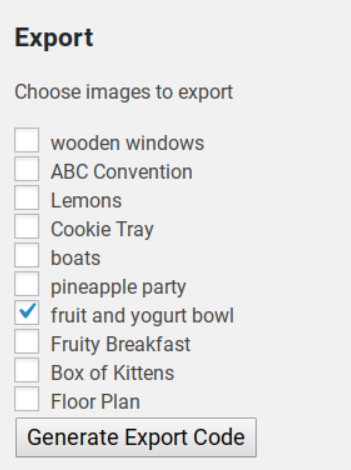 Just check the checkboxes in front of the images you’d like to export. Click Generate Export Code and then copy the code to your clipboard. 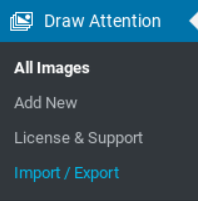 On the new site, go to Draw Attention > Import / Export, and paste the code into Import box. Click the Import button. 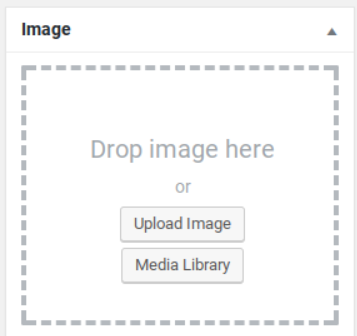 Note that the image itself isn’t transferred over – you’ll just need to re-upload your image, and all of your hotspots and associated More Info content will appear as expected. On the new site, after importing, go to Draw Attention > All Images. 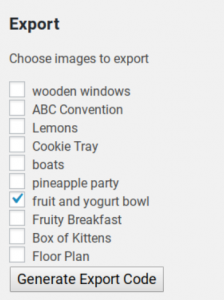 Select the image that you just imported and open it for editing. Upload your image to the image and click Update. Now your image is imported and ready to be used on the new site.